Beauty is an essential part and parcel of a woman’s need and appearance and nowadays when there are numerous factors that can threaten the appeal of the face, you certainly need the assistance of the specially formulated cosmetic products which can help you in whisking away any facial problem you might have and also to enhance the grace of your skin for a naturally beautiful you. Face masks are some of the very frequently used cosmetic products which are not only economical but also resulted oriented products which should be made use of to keep free of numerous acne hassles and to also have a conspicuous beauty boost. Face masks are formulated in a skin friendly manner to offer beauty oriented results that help you fight away certain skin inconveniences on the face and also render potent effects that add so much more to your facial appeal. Some of the most evident benefits of using face masks are listed to make you aware of what these simple products have in store. The foremost advantage of face masks is that they offer a clean look to the face the effects of which offer the following results. 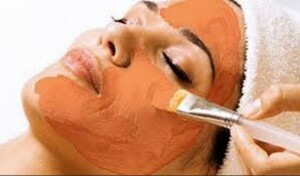 Clean and clear skin is the foremost benefit that is attained from the use of face masks. It is the basis of all other advantages and the most appealing fact that graces up your natural look. Smooth skin- many masks are also used as scrubs masks which tend to rub against the skin with their granule exfoliation formulation and scrape off the dead skin and debris from the face and give way to reveal a better and smoother skin new skin. Not only is the new skin a better version of you but also tends to give you a more glowing look. Since women craze for a white complexion; these face masks can be a safe way that promotes skin fairness. Refines skin pores through deep reach action that whisks away clogging and help facilitate a fortified beauty protection action against blemishes, acne and pimples. Abates decolorizing of the skin which may result due to excessive sun exposure, pollution and restores plus enhances the complexion. Combats face lines & wrinkling through certain specifically formulated ingredients. They are a good and cheap way to have a more elastic and supple skin texture which promote cell renewal and curb face sagging and emanation of lines. Fresh and dry look is a guaranteed effect of Mud, clay, sulphur etc face masks which tend to offer a dry and fresh skin that absorbs away all the excessive oil and reveal a better and more appealing look to the face. It is one of the most apposite types for oily skin.